The sixth annual Northwoods Blizzard Blast is planned for Saturday, Feb. 16, at the Conover Community Park. 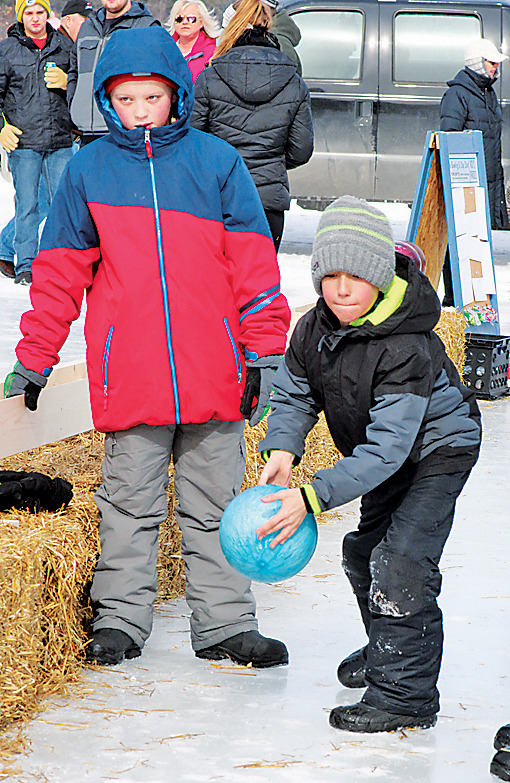 This family friendly winter event will kick off at 10 a.m. with activities on the park grounds until 4 p.m.
For children, there will be a Dogsled Dash event as well as face painting and pony rides. Chilly Charlie’s Children’s Carnival features the chance to win prizes by playing a variety of games, including Snowman Pong, Ring Toss and more. Children also will enjoy Snow Art Fun, using nature’s own materials to create art in the snow. The popular sledding hill will be open for children to enjoy all day. Giant Ski races will challenge a group of four to ski together and stay in sync and upright while strapped to a pair of 18-foot-long custom-made skis. Teams are welcome to join to try to win this year’s trophy and the $100 cash prize. Cross-country ski enthusiasts can also check out the groomed Pioneer Creek Recreation Trail. Recliner races, ice bowling and slapshot hockey events, along with open skating, will be held on the ice rink in the center of the park. Practice rounds on the recliners will be available throughout the day before the competition for the cash prize and coveted 2019 trophy. The baseball diamond will host snowshoe baseball games, an entertaining and challenging take on a summer sport, as local teams and fire departments compete throughout the morning. Demonstration and instruction in snowshoeing and archery will be held throughout the day. For a more serene activity, guests can climb aboard a horse-drawn sleigh ride, or warm up and browse the Northwoods Blizzard Blast Artisan Bazaar from 9 a.m. until 4 p.m. in the Conover Community Center adjacent to the park. Sandwiches, s’mores, snacks and refreshments will be available all day. Warming bonfires and heated restrooms will be located throughout the park. There is no admission fee to the park. All events are free for spectators to enjoy. Single event tickets will be available for purchase for those who want to compete. Proceeds raised at the event will go to area fire and emergency medical services departments. For more information, call (715) 547-8120 or visit blizzard-blast.com.